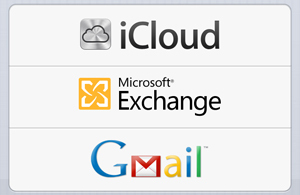 Home > Google News > Misc Google > Google Apps iOS Users Stop Getting Push Email Via Exchange: A Bug? Google Apps iOS Users Stop Getting Push Email Via Exchange: A Bug? There are hundreds of complaints in the Gmail Help forums from iOS users who use Google Apps or Gmail with the Exchange setup that are saying they are no longer getting email to them being pushed. I am one of those people, so I can confirm this is indeed an issue. I run iOS 6 on an iPhone 5, I have a Google Apps account, it was set up with the Exchange method so emails are pushed to me for years. Since Thursday night, May 23rd, emails stopped being pushed to my device. Google representatives seem unsure why this has happened. Yes, the exchange option was discontinued for some users a while ago but not for all, including myself. This doesn't seem intentional, nor was it expected. I've been looking into this with my team. There is currently a known issue with Google Sync push notifications for Google Apps users. We are investigating this and working towards a resolution. We will update as soon as we have more information. If you are a Gmail consumer user, jo to this link on your phone: accounts.google.com/displayunlockcaptcha, follow the steps on the screen and then try refreshing your account (by pulling down to refresh in the inbox). This captcha trick has not worked for anyone, including Gmail users, since Thursday. So something is up. Google has been silent about the issue over the Memorial Day weekend. Update: This was fixed May 29th in the very early morning hours.